The ancient struggle in the story of Hanukkah just became very relevant. Again. Jewish comedian Alan King famously stated: “A short summary of every Jewish holiday: They tried to kill us. We won. Let’s eat.” Hanukkah certainly supports Mr. King’s theory. 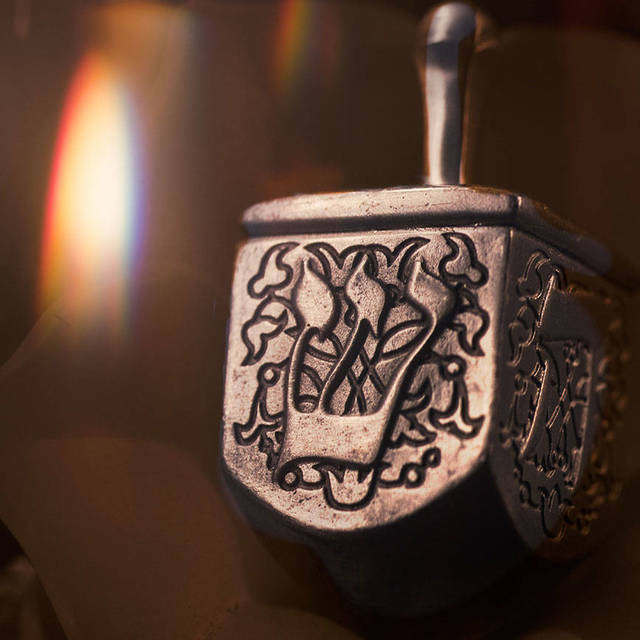 The Gemara asks: What is Hanukkah, and why are lights kindled on Hanukkah?… They searched and found only one cruse of oil that was placed with the seal of the High Priest, undisturbed by the Greeks. And there was sufficient oil there to light the candelabrum for only one day. A miracle occurred, and they lit the candelabrum from it eight days. The next year the Sages instituted those days and made them holidays with recitation of Hallel and special thanksgiving in prayer and blessings. In the days of Matityahu, the son of Yochanan the High Priest, the Hasmonean and his sons, when the wicked Hellenic government rose up against Your people Israel to make them forget Your Torah and violate the decrees of Your will. But You, in Your abounding mercies, stood by them in the time of their distress. You waged their battles, defended their rights, and avenged the wrong done to them. 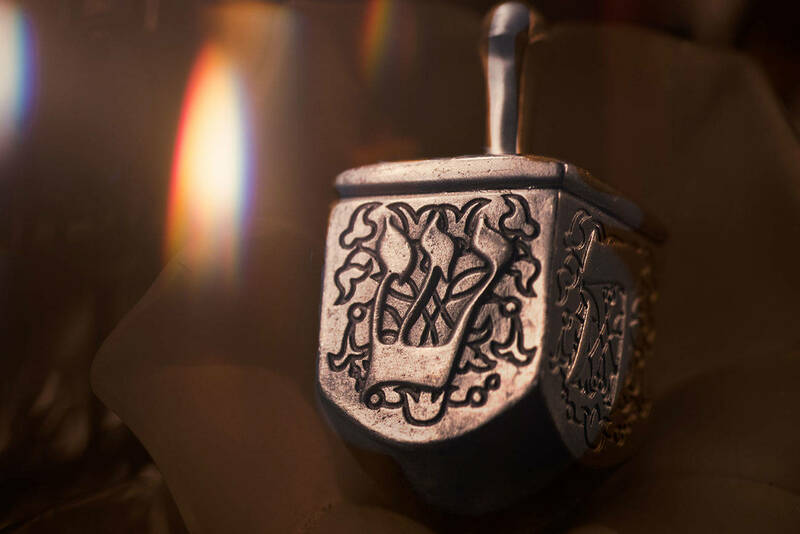 You delivered the mighty into the hands of the weak, the many into the hands of the few, the impure into the hands of the pure, the wicked into the hands of the righteous, and the wanton sinners into the hands of those who occupy themselves with Your Torah. You made a great and holy name for Yourself in Your world and effected a great deliverance and redemption for Your people Israel to this very day. The most fundamental miracle of Hanukkah is not oil or lights, though they are miraculous and a part of the story. The foundational miracle is redemption and deliverance that come from Heaven. Recently we saw eleven Jewish lives tragically taken at Etz Chaim synagogue in Pittsburgh. Anti-Semitism reared its ugly head, this time violently on American soil. Simply because they were Jews, the killer said they needed to die. However, there’s a much deeper and more insidious current running unchecked throughout the world today. It is an ancient one, the Antiochus Spirit, I might say, with a new face and a new name—BDS (Boycott, Divest, Sanction). Radical anti-Zionist (translated: anti-Semitic) organizations are promoting hatred of Israel, and by default the Jewish people, on college campuses everywhere. There is Louis Farrakhan and his hate speech, twenty new proposed UN resolutions against Israel (one against Syria), more than 370 rockets fired into the south of Israel in November alone, and radicals on both the left and right. You can take your pick, but the message to us—supporters of Israel and the Jewish people—is the same. The time has come to stand up. At Hanukkah, we remember a powerful and verifiable miracle—the fortitude and valor of Judah and his brothers, the brave Maccabees. Against all odds, they rose up to defend Israel, specifically the Jewish people and our way of life, against those whose intent was to utterly destroy us. It had happened before: Pharaoh, Haman, and in the Hanukkah story, Antiochus Epiphanes. The list continues into the modern era—madmen, hell-bent (literally, inspired by the enemy I think) on eradicating the Jewish people. My point? The oil is great and miraculous, but in Al HaNissim we see the most amazing miracle, the one that is once again sadly becoming more and more relevant in the world in which we live. Israel and the Jewish people have never lacked an enemy—powerful enemies—bent on their destruction, or in today’s parlance, hoping they were “driven into the sea” or “wiped from the face of the earth.” In the days of the Maccabees, HaShem effected a “great deliverance” for his people, and no matter what the world may bring, that promise, that miracle remains in force today. We hear a lot about resistance today (that’s another blog post!). The Maccabees were all about resistance—battling the forces of evil that would eradicate God’s chosen people. They were forced to take up arms in the natural and the spiritual sense. While I certainly am not calling for us to take up literal swords, I do think it is high time we increase our efforts in the spiritual arena. Now therefore let us cry unto heaven, if peradventure the Lord will have mercy upon us, and remember the covenant of our fathers, and destroy this host before our face this day. This is the Feast of Dedication. Let’s dedicate ourselves to a renewed vigor in prayer this Hanukkah season, a cry for peace in Jerusalem, and a call for the Prince of Peace (who conceivably was conceived at this season) to come and bring with him the everlasting peace this world so much needs now. Siddur Tehillat Hashem. © Copyright Kehot Publication Society, Brooklyn, NY.